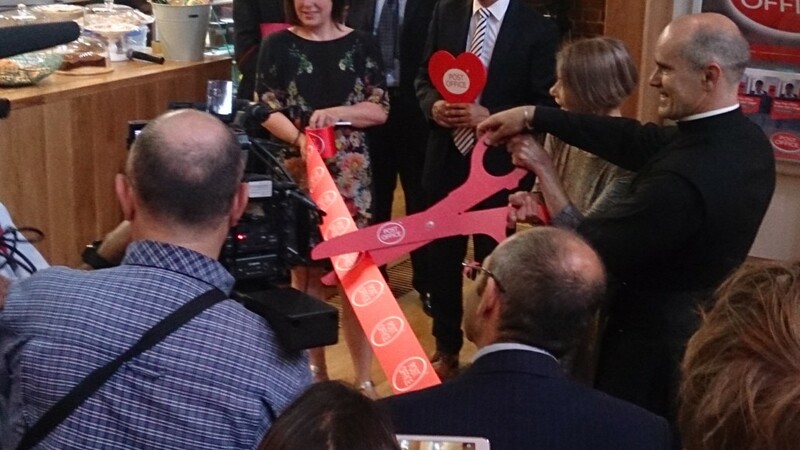 It may have technically opened a couple of weeks ago, but today was the official opening of the post office in St James’s church on Sherriff Road. 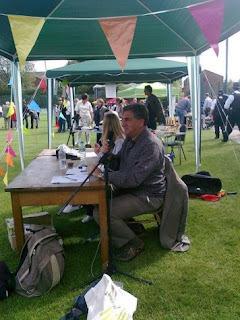 A large crowd turned out, some primarily there for the soft play area, some for the grand opening. 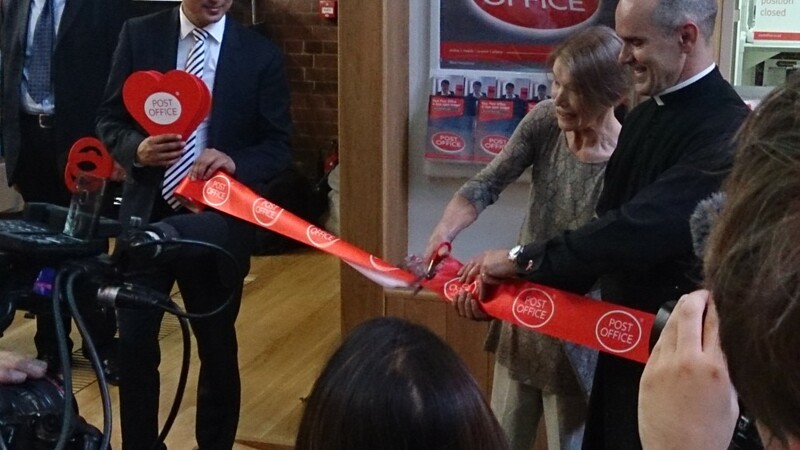 Hampstead & Kilburn MP Glenda Jackson cut the ribbon with some good old-fashioned scissors, having failed with the novelty scissors she was given first.